This invitation to the insights and inspiration of the old West features artist Tom Browning's stunning paintings of fearless cowboys, noble horses, and nature's vast beauty. Readers are drawn into an era when a person's good reputation garnered trust, a handshake sealed a deal, and the cowboy spirit lived large. 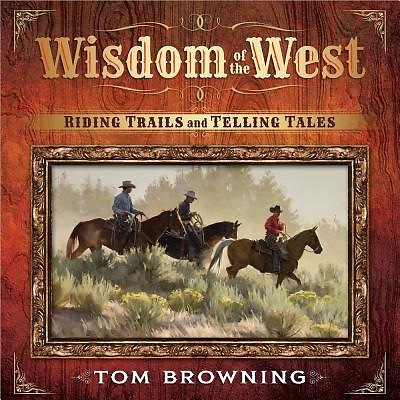 Filled with the wisdom of the West--shared along the dusty trails and by glowing campfires--this beautiful gift book warms the soul and fuels the call to adventure. It's a timeless gift to bless those who feel a kinship with those who rode west and who wish they could have answered that call themselves.